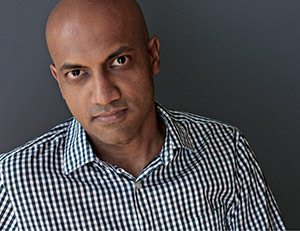 Rajesh Parameswaran is the author of the short story collection I AM AN EXECUTIONER: LOVE STORIES (Knopf 2012). His work has appeared in McSweeney’s, Granta, Zoetrope: All-Story, Five Chapters, and Fiction. “The Strange Career of Dr. Raju Gopalarajan” was one of three stories for which McSweeney’s earned a National Magazine Award in 2007, and it was reprinted in The Best American Magazine Writing. He lives in New York City.